What to do with waste? Make our own fossil fuels! Dr Martin Linck has revealed to the 244th meeting of the American Chemical Society in Philadelphia that his large scale fuel plants are capable of producing 300,000 gallons of fuel a day. As he relates, "These results are essential in establishing the credibility of a process that may seem too good to be within the realm of possibility." The process, called the Integrated Hydropyrolysis and Hydroconversion Process or IH2 was developed by Dr. Linck's Gas Technology Institute (GTI) in Des Plaines. Hydrogen from the waste and many cheaper catalysts move the processes by which the "feedstock" raw materials are converted into the oily products. What truly amazes everybody is that feedstock. 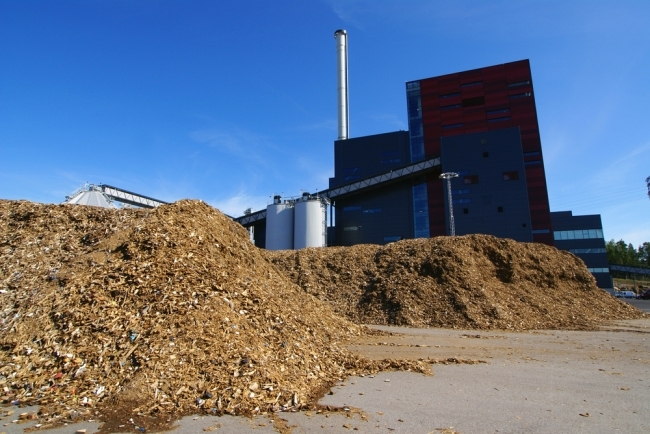 Any wood, cornstalks, algae from rivers, other plant material and solid municipal waste can be used. The fact that the product is ready to use is also beyond belief. There's no "crude" here. No unwanted oxygen for example, which would limit its transport capabilities. The use of existing equipment of course is another giant step to making this immediately feasible for use in large plants. Further support is forthcoming because the carbon footprint is limited. Only 10% of the greenhouse gases that emanate from fossil fuels are produced by the current IH2. It produces its own hydrogen gas from biomass which means no gas or coal is used to make the necessary hydrogen in the fuel molecules. And the cost? Martin Linck is estimating a $2 per gallon price for the gasoline required in cars or the kerosene in planes. Two plants are now running as pilots, the smaller of which only uses one pound of "feedstock" per hour. This alone can make up to 157 gallons of fuel per ton. The larger pilot plant copes with X100 the feedstock and operates continuously as a commercial plant would. A Houston company now has the licence for the technology and will sub-license the rights to many likely candidates, given the extreme environmental friendliness and usefulness of this project. GTI estimate by 2014, we will have 2000 tons per day entering plants to create more than 300,000 gallons of fuel per day. Efficiency of the large scale plant is the key. The smaller plants can operate vey efficiently and it remains to be seen if that level is maintained when the processes are scaled up.